MARCH 2017 —SIMCOM Aviation Training is pleased to announce that they have partnered with Hospitality Too to provide concierge travel services for their customers in their Orlando Florida, and Scottsdale Arizona locations. SIMCOM, through its partnership with Hospitality Too will now be able to offer its customers the following services from a professional company: discounted hotel accommodations, rental car, ground transportation and many other unique services. Scott Layman is an Account Executive with Hospitality Too and will be located within the Orlando facility to service SIMCOM’s customers. A graduate of the University of South Carolina, Scott began his career in 1993, and brings years of hotel and rental car management and sales and marketing experience to SIMCOM. Scott has previously served in positions of Manager with Enterprise Rent- A- Car and Sales Manager and Director of Sales and Marketing with Hyatt Hotel Corporation. Hospitality Too specializes in securing hotel accommodations throughout the world. Customers include Fortune 500 companies, Private Aviation, Tour and Travel Groups, Professional Sports Teams, Film Crews, Airline Crews and many others. Hospitality Too is an international multifaceted company which deals exclusively in the hotel and travel business. 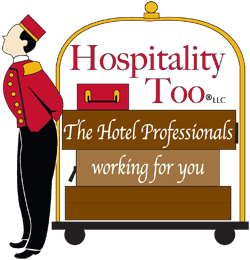 The staff of Hospitality Too are a dedicated group of professionals who come from executive positions within the hospitality industry. Hospitality Too is a unique resource for companies seeking to offer increased levels of personalized upscale service to their travellers from professionals, who have thorough and in depth knowledge of the travel industry.